Cysts in the breasts are not uncommon occurrences. A significant percentage of women will get them. They are more common in women who do not have children and women who are forty. Most cysts are benign but malignancy does develop in some cases. Malignant tumors are hard to touch and possess definite boundaries. Simple cysts are softer and more watery in nature. Cysts and tumors can be due to any of the three doshas but are most common in Kapha types, who tend to create excess tissues. Kaanchnaar Guggul- : 2 tablets twice daily after food. Curcumin: 2 capsules twice daily after food. Chanderprabha Vati: 2 tablets twice daily after food. Kapha type cysts consist of subcutaneous fat or mucus accumulations. They involve swelling, dampness and congestion. If large, they can be safely removed through surgery, if necessary. As the breast is a fatty organ it easily gets such cysts or tumors. Vata type cysts are characterized by pain. They are dry, variable in size and location. Vata individuals are prone to fear and are more likely to imagine that any swelling or cyst is cancer. Pitta cysts are distinguished by inflammation, infection, swelling and a hot sensation. Generalized breast lumpiness is known by several names, including fibrocystic breast condition, fibrous breasts, fibrocystic breast disease, fibrocystic changes and benign breast disease. There even exist several types of fibrocystic breast condition. However, large, palpable cysts have been linked to an increased risk of breast cancer, not to mention the pain the women experience, so women need to be concerned about pain and cysts in their breasts and not let it go on thinking it is normal. Many women have some lumpiness in the breasts, usually in the upper outer region of the breast, near the armpit. In the United States, about 30% of women have this kind of lumpiness with breast pain and breast cysts a condition called fibrocystic breast disease. Lumps may be removed and a biopsy may be performed. Sometimes cysts are drained, but they tend to recur. No specific treatment is available or required. Fibrocystic Breast Disease consists of single or multiple lumps (cysts) in the breasts. The cysts are often harmless and are fairly common, but they may be cancerous. Women with fibrocystic disease of the breast are at greater-than-usual risk of getting breast cancer later in life. Also known as chronic cystic mastitis. An anti-Kapha regimen is indicated for most benign tumors. Fat reducing herbs are used, combining pungent and bitter tastes. Good herbs are black pepper, cayenne, turmeric, calamus, katuka, goldenseal and barberry. A good formula is Trikatu taken along with honey. Honey itself has a fat and tumor reducing property. 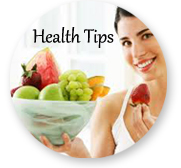 Triphala or other laxatives are helpful as well. 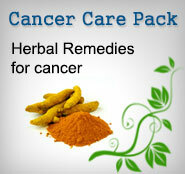 Special herbs for reducing breast tumors include turmeric (Curcumin), safflower, dandelion, violet and cyperus. Girls who show signs of puberty in a much earlier age are found more prone to poly cystic ovarian disease. In most women with PCOD, menarche occurs at the expected time, but uterine bleeding is unpredictable in onset, duration and amount.